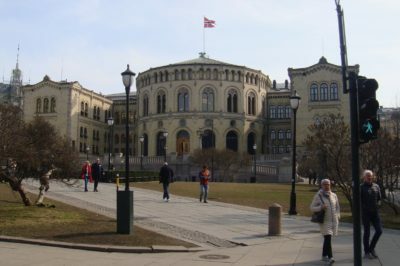 Norwegian voters’ confidence in their elected Members of Parliament was hit by another jolt on Wednesday. Now it’s an MP from the Labour Party who’s been caught delivering fictitious travel expense reports and receiving unwarranted compensation from taxpayers. Newspaper Aftenposten has been examining MPs’ expense accounts and travel reports for the past six months, and already has revealed errors and even apparent fraud on the part of several politicians. In one of the most serious cases, MP Mazyar Keshvari of the Progress Party faces police charges for exaggerated fraud for claiming expenses for travel he never made. MP Hege Haukeland Liadal of the Labour Party is the latest to have been found filing travel expense reports for trips she didn’t take. 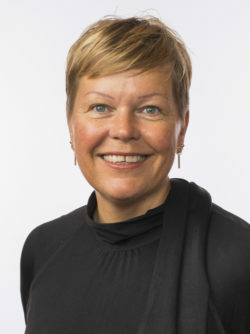 Liadal, who also serves as deputy leader of Labour’s large chapter in Rogaland County and is a member of the party’s powerful national board, also tops the list for travel expense compensation received by MPs between January 2017 and October 2018 after delivering travel expense reports for half-a-million kroner. Most all of her expense reports involve alleged car travel and demands for overall compensation based on distance traveled and time spent. That sort of compensation is based on set formulas and requires little if any documentation. It’s up to the individual MP, who currently needs no approval of expense claims from any superiors, to state where and when they traveled, and compensation is paid with few if any questions asked. Aftenposten, after months of investigation and examination of expense reports matched against MPs’ actual activity and whereabouts at the time of the alleged travel, uncovered how Liadal on a number of occasions had filed reports for travel to meetings in the industrial town of Odda, for example, when she was actually at home in Haugesund or even off on holiday. Aftenposten’s four-page report in its Wednesday edition is full of documented discrepancies in Liadal’s reports. She made some attempts for account for all the errors and cases where she filed expense claims for trips that were never made, but even they contained discrepancies. In one case, she’d claimed on her expense claim that she was attending business and industrial meetings, when she told Aftenposten that she instead had been gathering information in the field on flood, avalanche and tourism issues. And then it turned out she hadn’t made the trip at all. Liadal has admitted to making “mistakes” on her expense claims, and offered to repay compensation she wrongfully received. That can amount to as much as NOK 60,000 just based on her compensation claims for fictitious trips. Labour’s long-struggling leader Jonas Gahr Støre called Liadal’s self-imposed suspension “wise.” Her “mistakes” are the last thing Labour needs right now, following a year of drama over sexual harassment complaints against its former deputy leader Trond Giske. Støre has been struggling to raise Labour’s poor public opinion poll results and turn attention away from internal conflicts and individual politicians’ poor behaviour and back to politics itself. Now he faces having to deal with another errant politician within Labour’s ranks. “Serious questions have been raised about her travel expense claims,” Støre told Norwegian Broadcsting (NRK) on Wednesday. He said that party leadership has also had contact with Liadal and that it was important that the Parliament “get to the bottom of whether this was messy bookkeeping or something else” that would have further “consequences” for Liadal. Støre stressed that clarifying the case is important for the confidence people should be able to have in their elected officials. He said Aftenposten’s report came as news to him and the rest of Labour’s leadership. Stanley Wirak, leader of Rogaland Labour, said the case was “very unfortunate” for the party. “But we shouldn’t judge until we know more,” he told NRK.